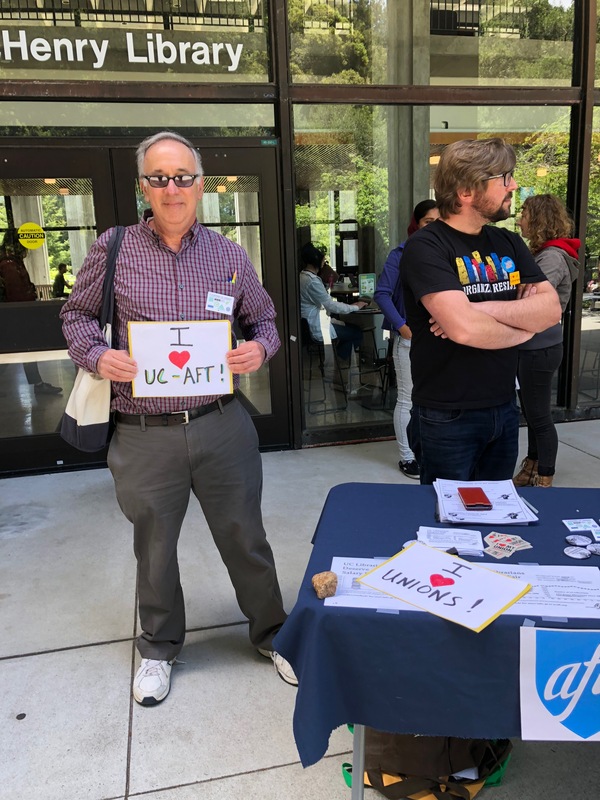 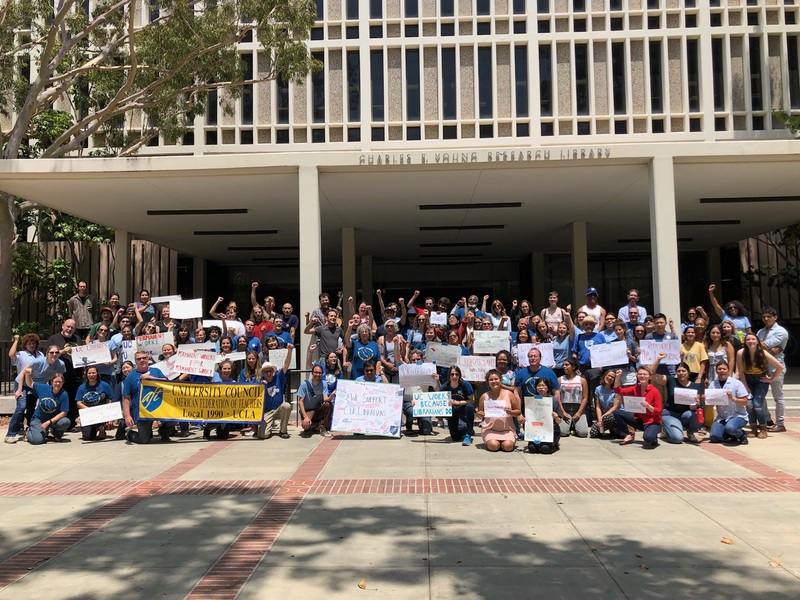 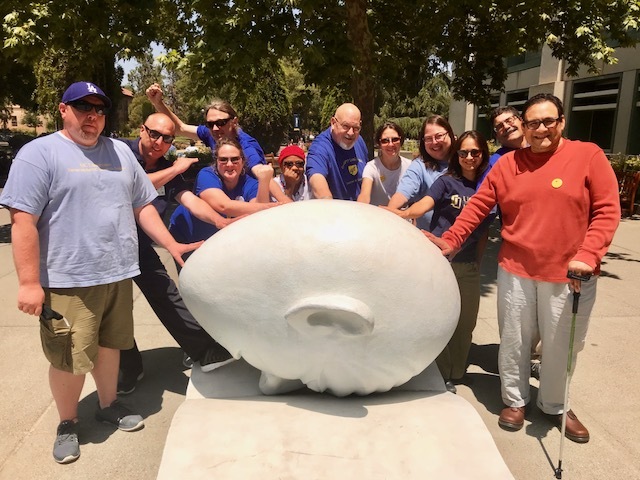 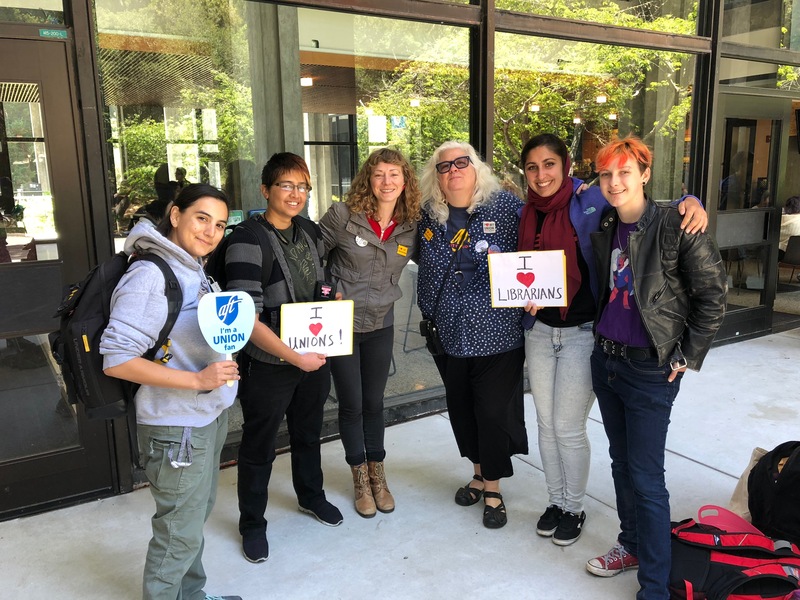 Inspired by a SAG-AFTRA action and bake sale in 2018, UCLA’s Unit 17 Organizing Committee decided to organize a bake sale as a fundraiser for the newly created UC-AFT Strike Fund. 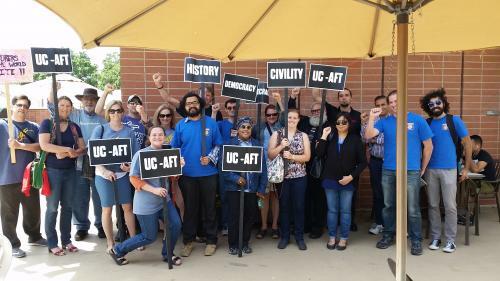 Our UC-AFT Statewide Council has sanctioned this action given the current labor environment in California and across the UC. 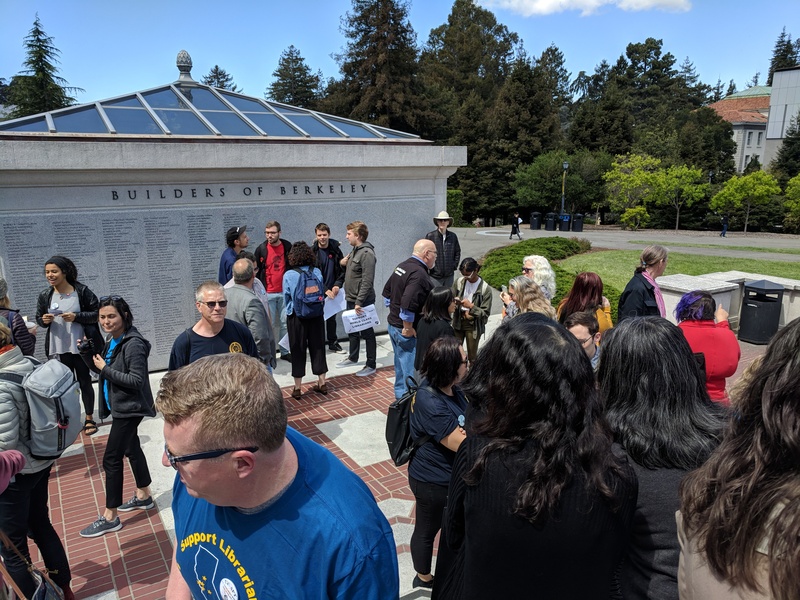 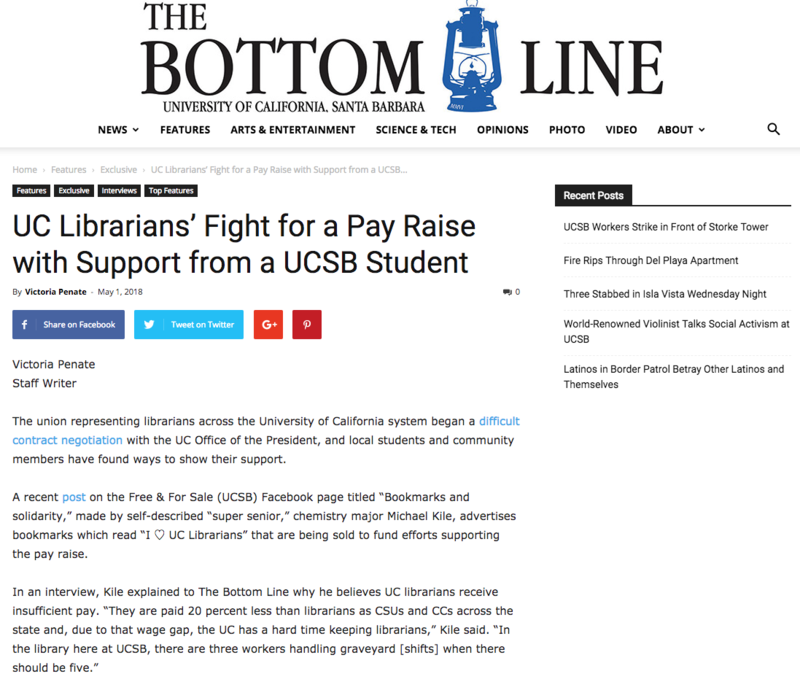 This fund will be used for strike pay and other strike-related activities in the event that UC-AFT represented librarians (or non-tenured track faculty) go on strike. 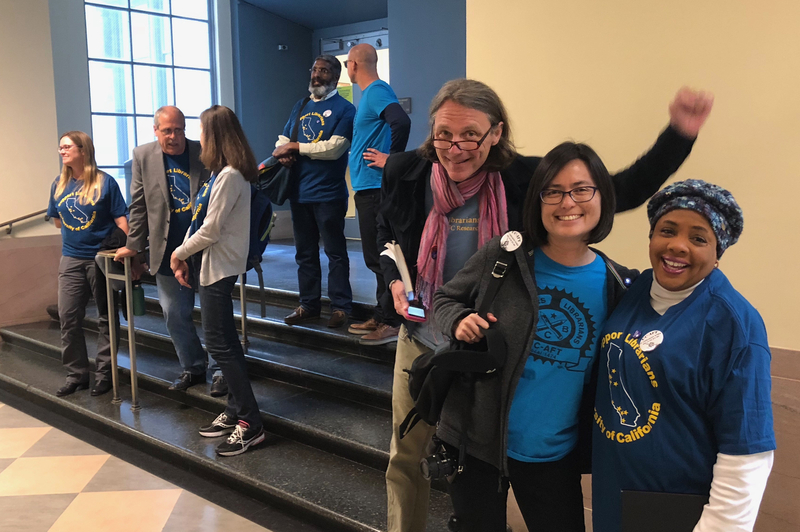 The council does not take the decision to create this fund lightly. 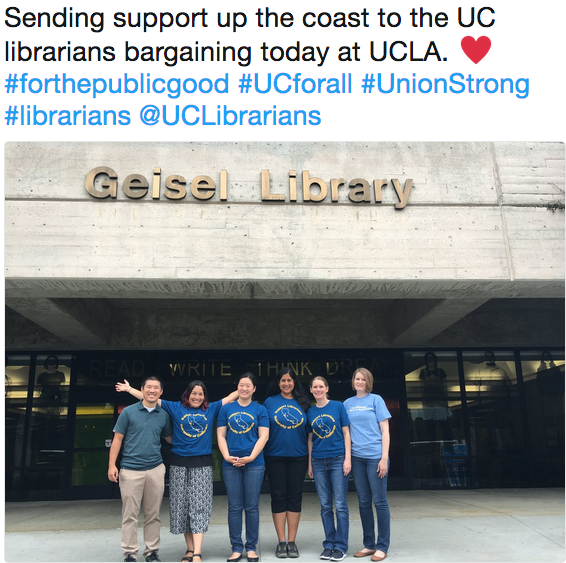 No one wants to go on strike. 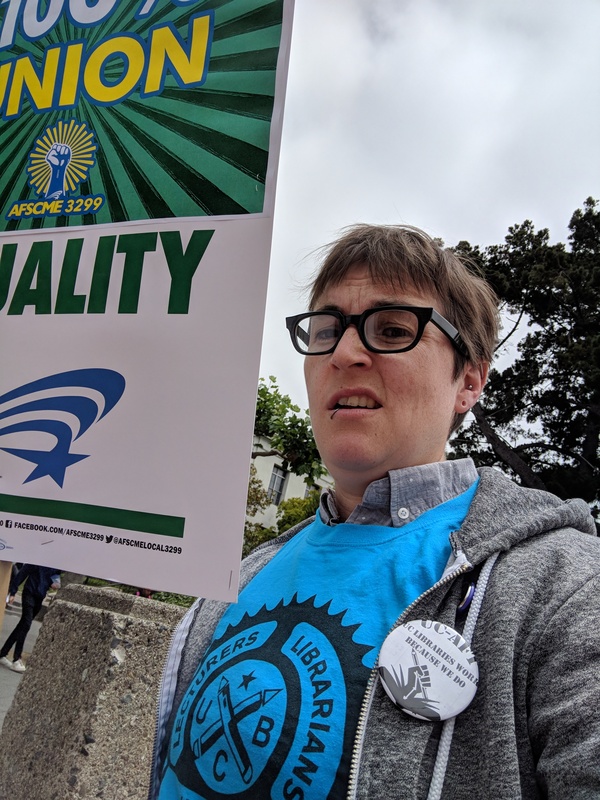 Withholding labor and sacrificing salary is not easy for anyone. 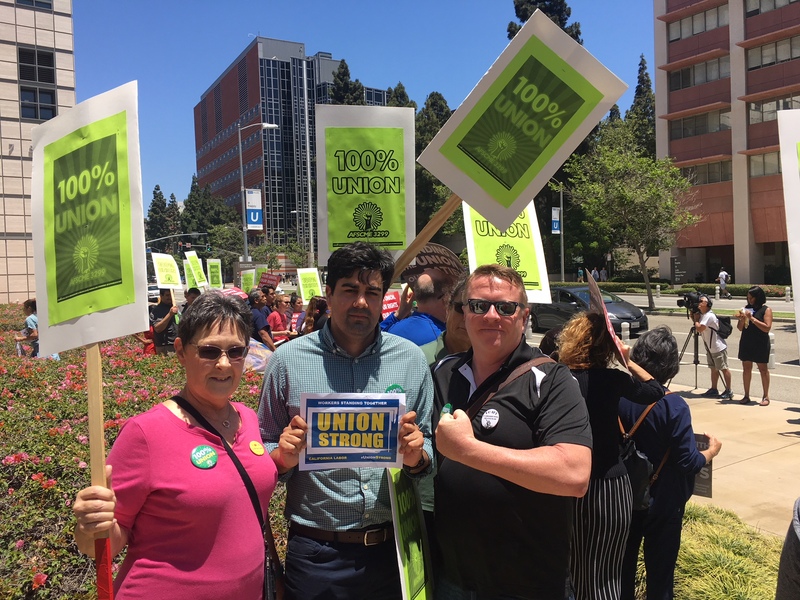 But we must stand together and prepare for a worst-case scenario given that we have seen AFSCME and UPTE go on strike as recently as October of 2018. 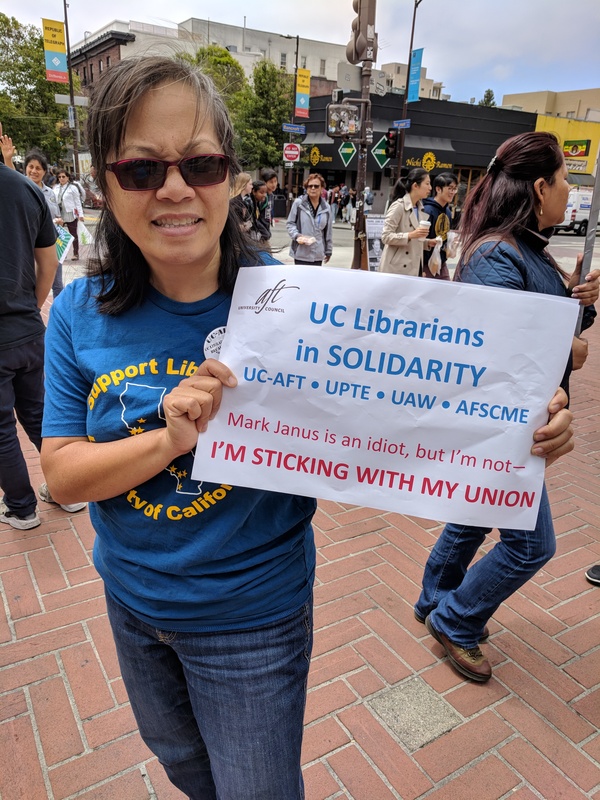 We have also recently witnessed a substantial attack on public sector unions in the form of the Janus vs AFSCME ruling. 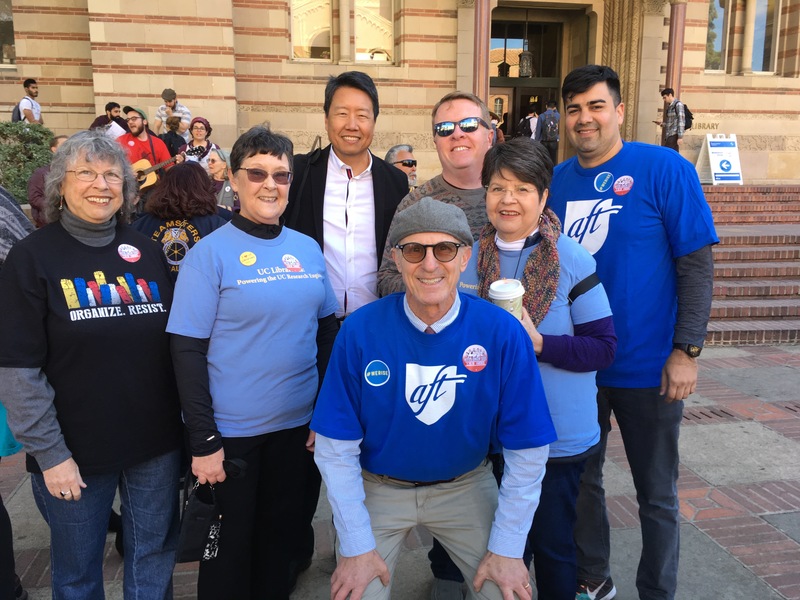 But it has been encouraging to see public sector unions fight back and win. 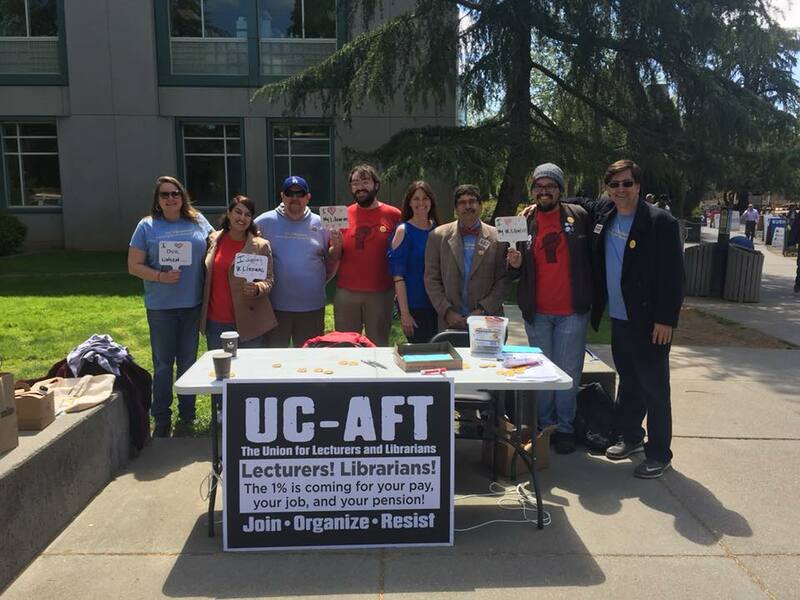 Is UC-AFT going on strike? 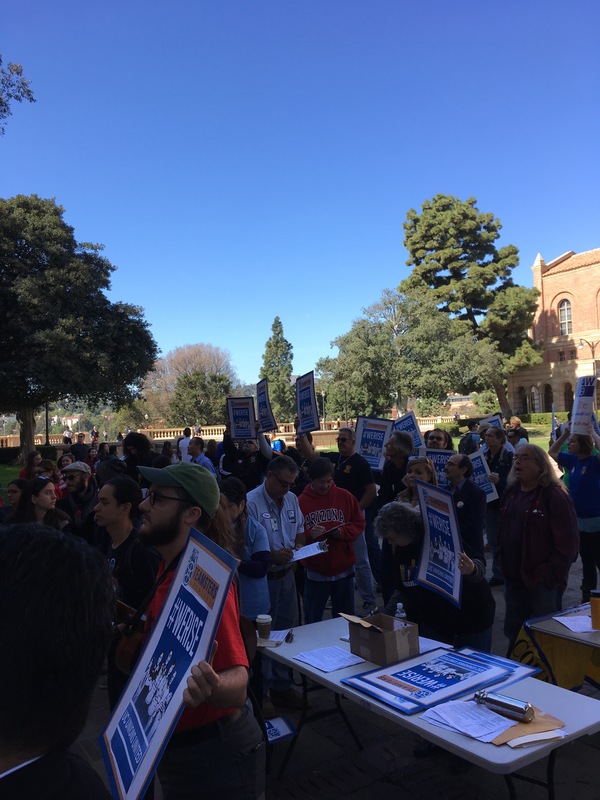 Even with multiple bargaining dates already set for February and March there is increased uncertainty as to where contract negotiations with UCOP will head. 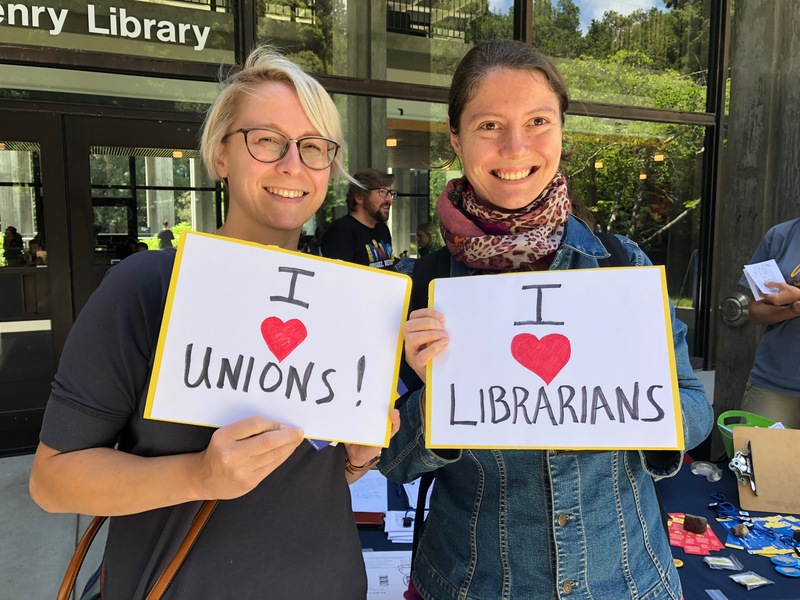 To date our librarian bargaining team has received very little in terms of written response to proposals they have made to UCOP. 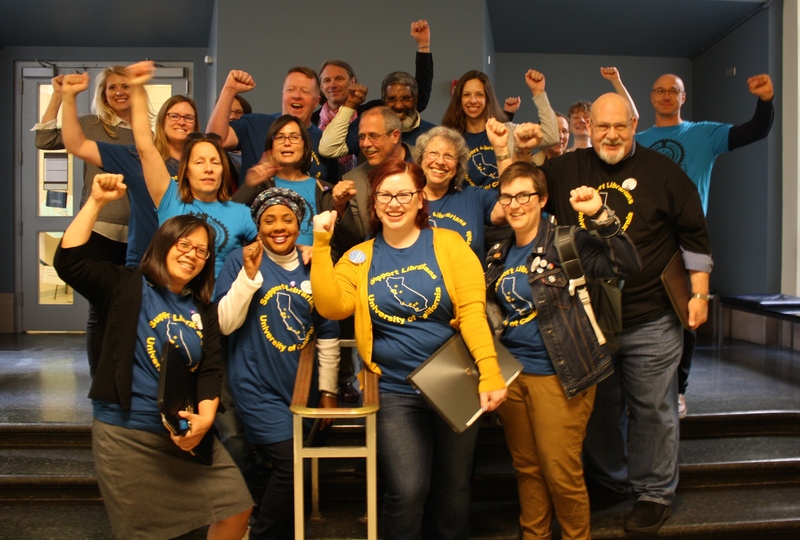 As bargaining continues in 2019 it is important for members to understand the next steps in this process. 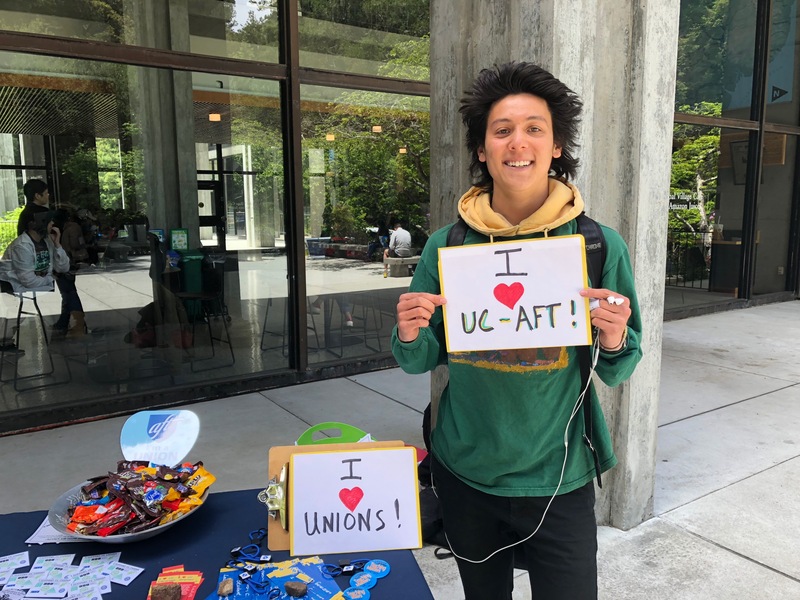 In order for UC-AFT to strike, we would have to reach an “impasse,” — a point when one or both parties feels that they cannot compromise on any outstanding part of the contract. 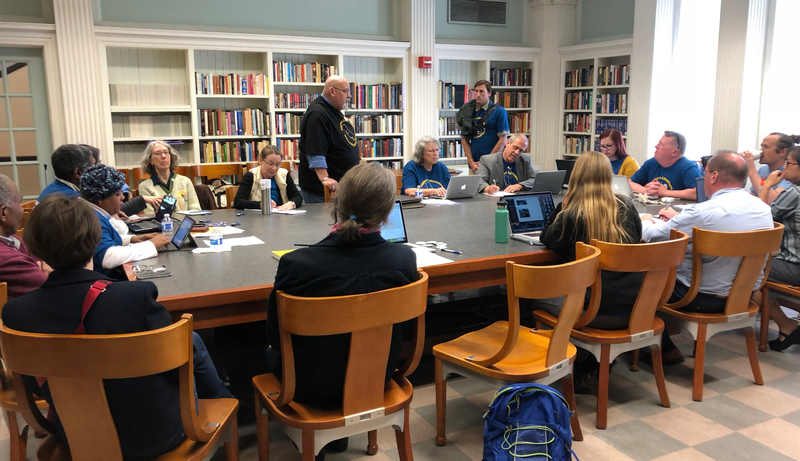 Once impasse is declared, the matter goes before a factfinder and the parties work with a mediator to try to resolve outstanding issues. 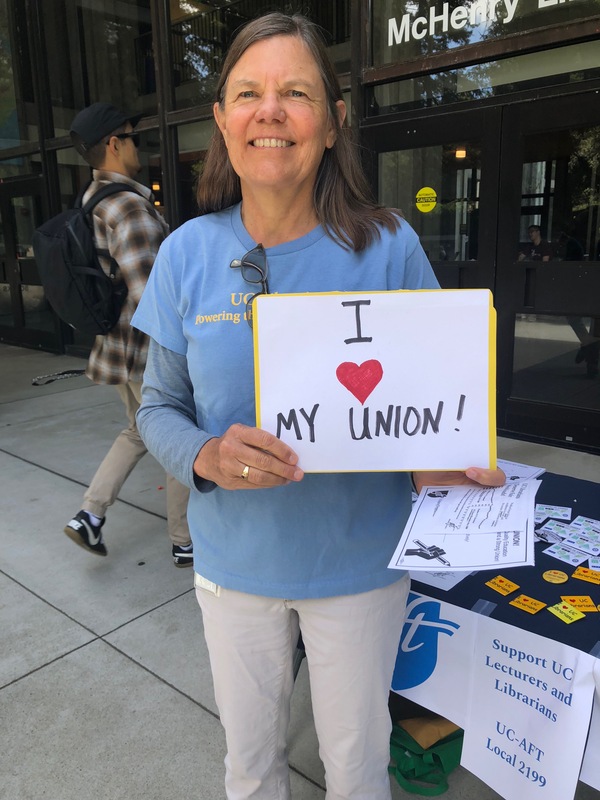 If there is still no agreement, our union’s negotiating team can then set a vote date for our membership to vote as to whether or not they would support a strike if it were called. 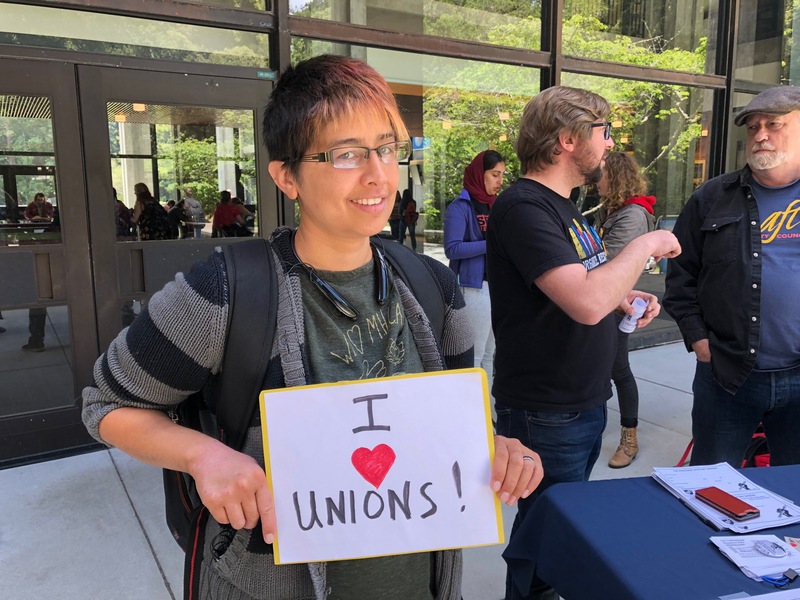 If the majority of voting members voted to support a strike, the negotiating team would be empowered to call a strike (but not required to). 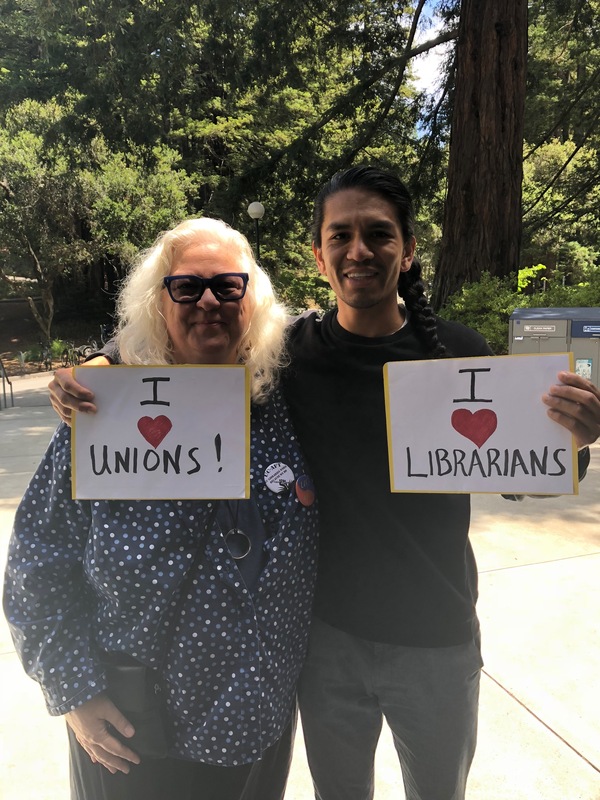 What is a strike fund? 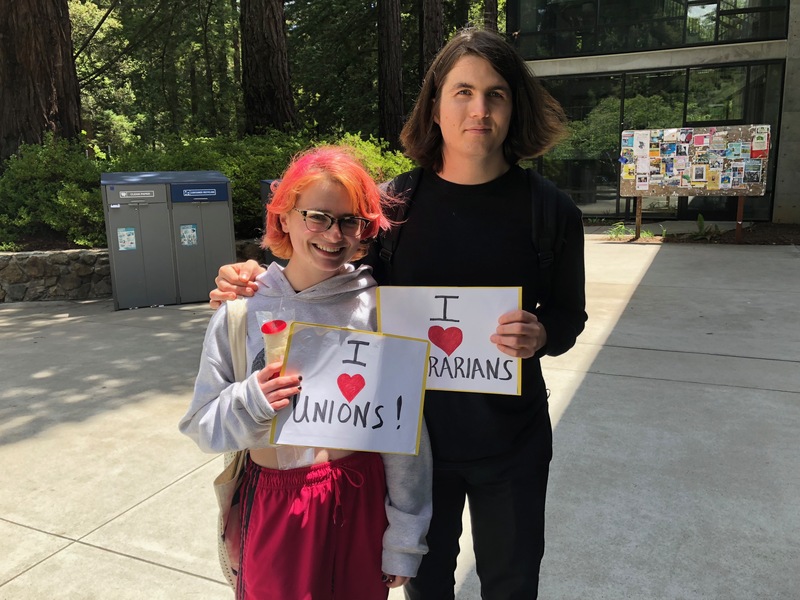 A strike fund is a reserve set up by a union ahead of time. 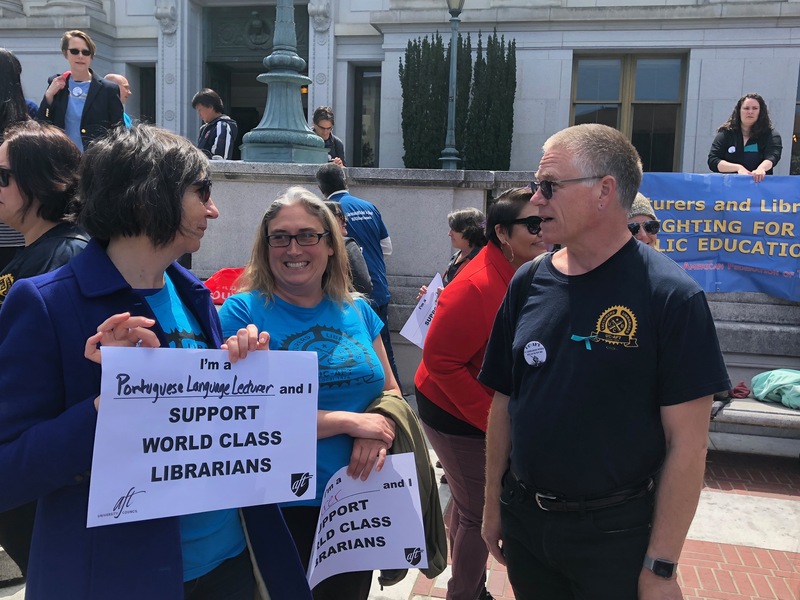 Foregoing pay during a strike is a hardship for everyone, but it disproportionately impacts early career librarians and librarians in the lower salary ranges. 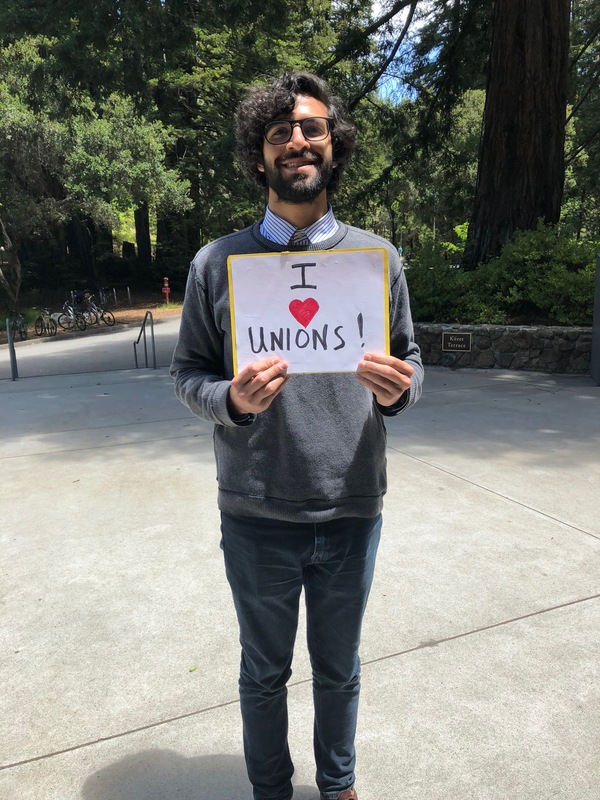 A strike fund can be used to provide strike pay or to alleviate the financial burden for those who are most impacted. 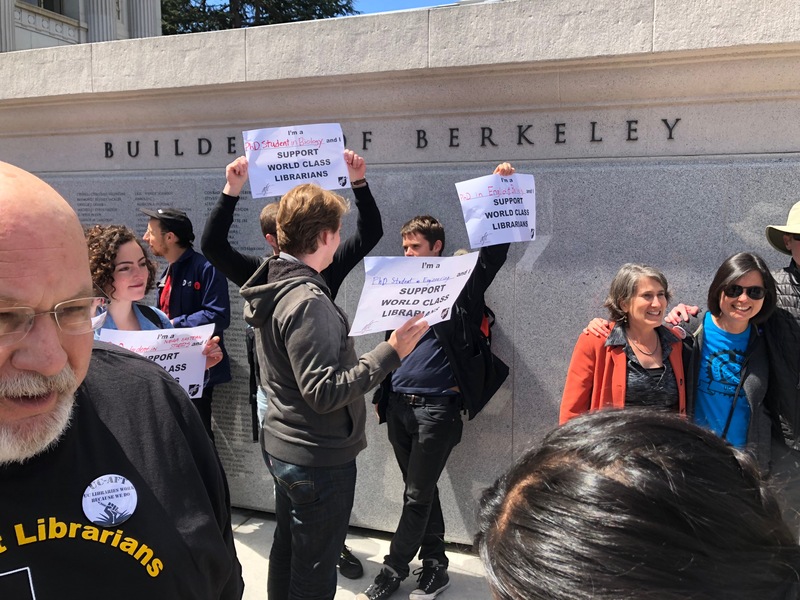 What happens to this fund if there is no strike? 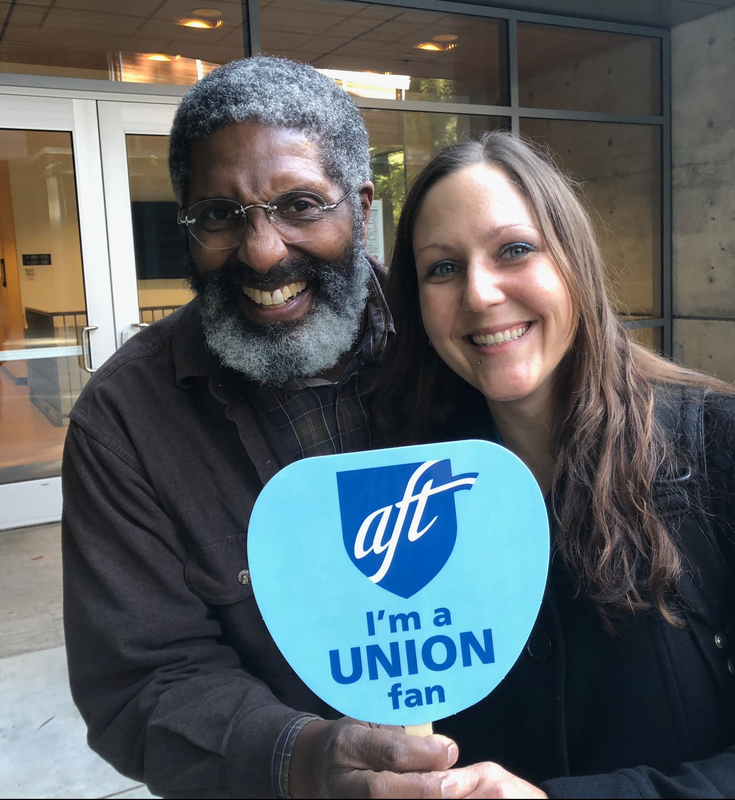 Our statewide Secretary/Treasurer has set up a separate bank account for the strike fund where the proceeds from any fundraising efforts or donations to the strike fund will be deposited. 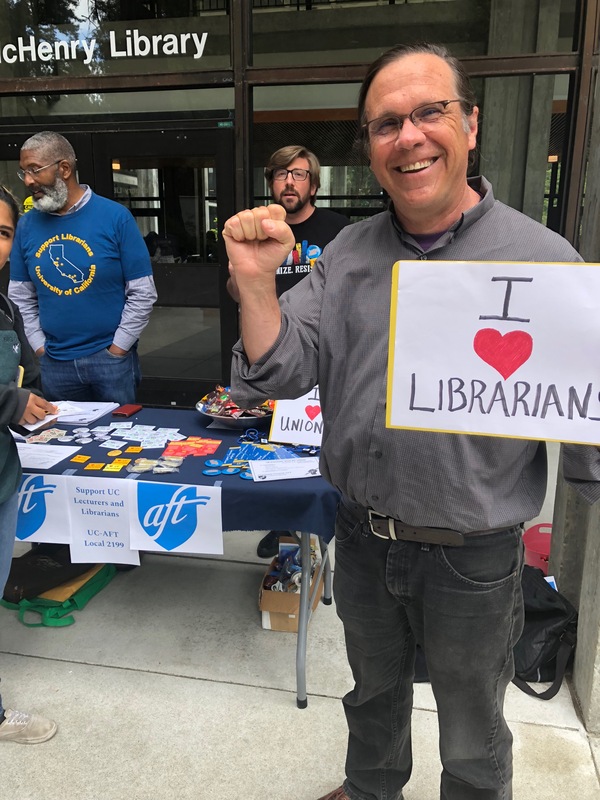 Ultimately our membership will decide what happens to the money in this fund if there is no strike. 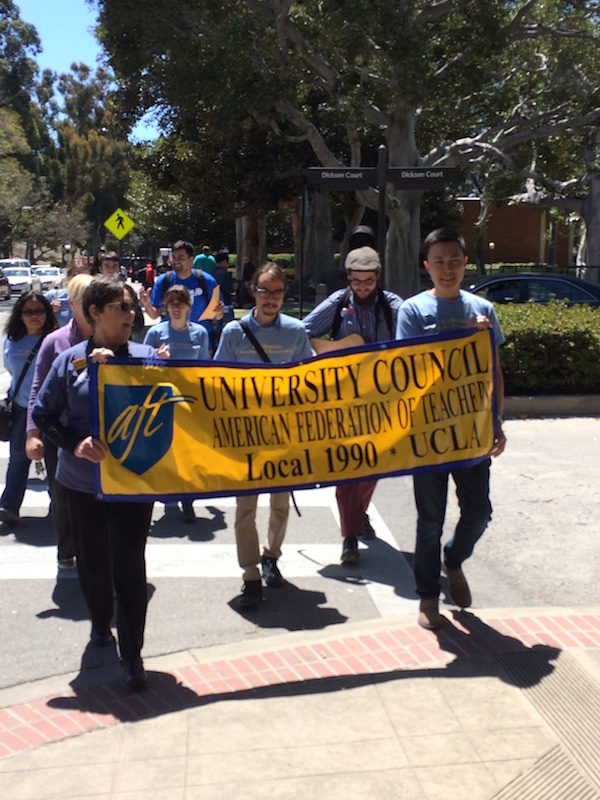 How can I contribute to the UC-AFT Strike Fund? 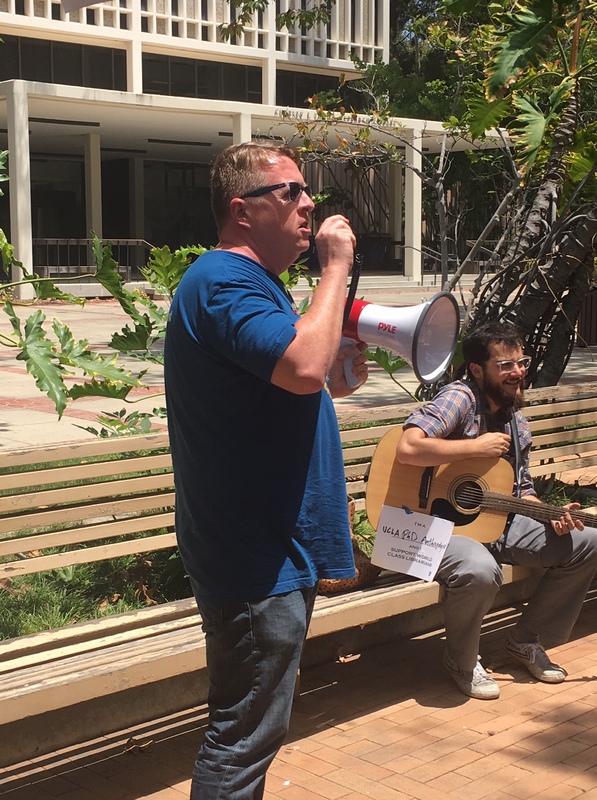 Any donations, large or small, are needed and most welcome! 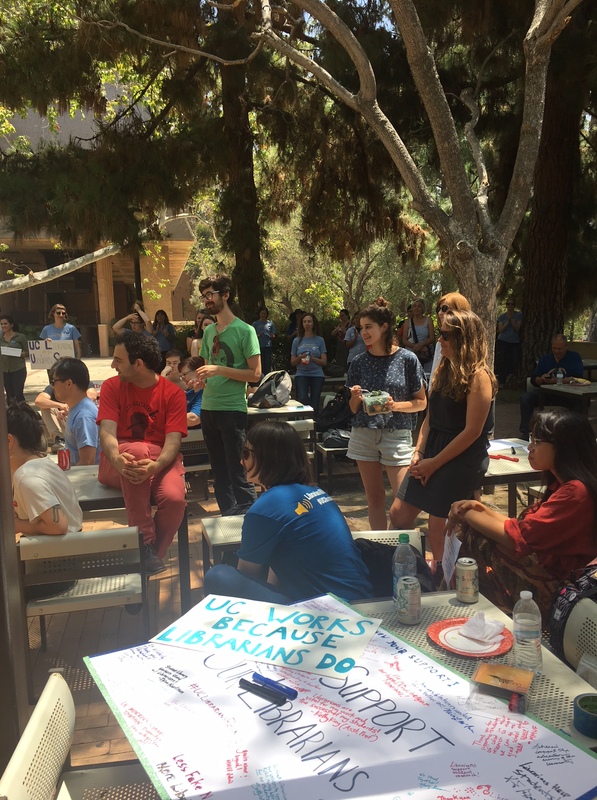 As we enter our fifth month without a contract and bargaining continues at UCLA, what better way to start our strike fund than with a bake sale? 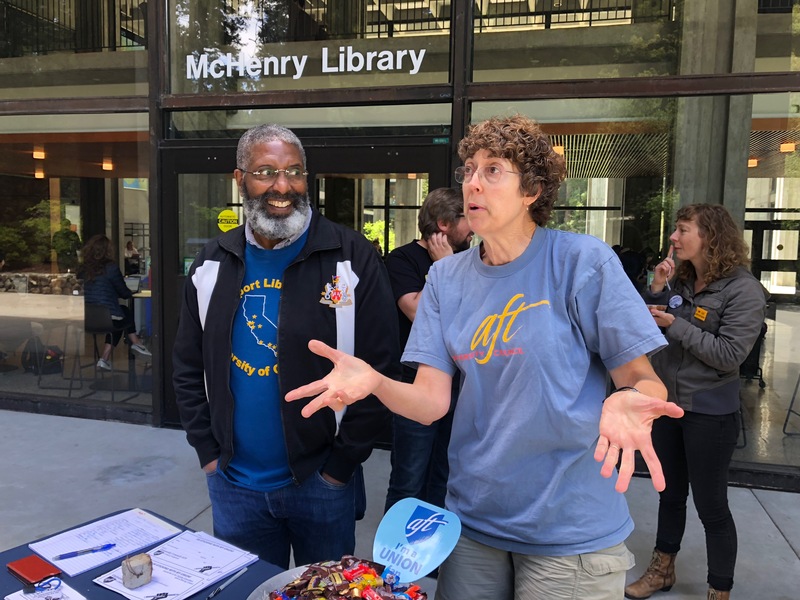 On Friday, Feb. 1st, while our bargaining team was negotiating with UCOP inside, the UCLA Librarian Organizing Committee held a bake sale outside YRL as our first fundraiser for the UC-AFT Strike Fund. 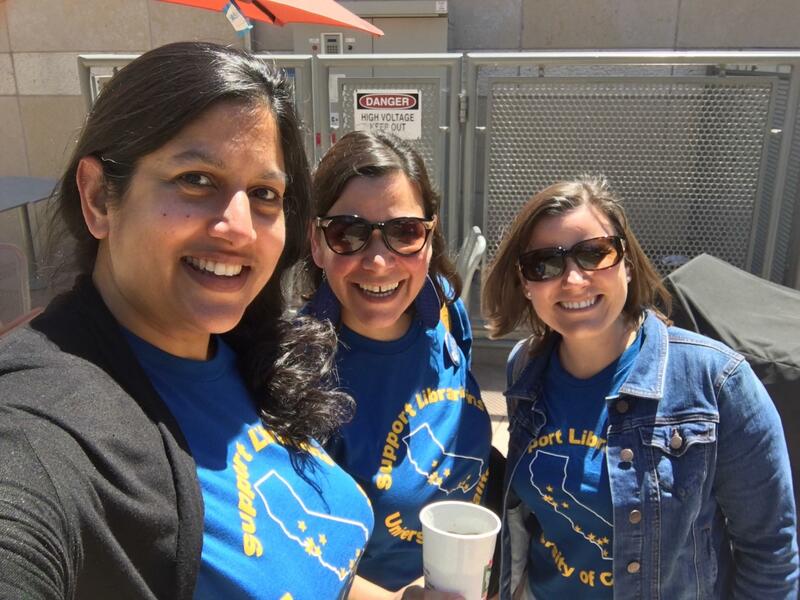 The bake sale was a huge success! 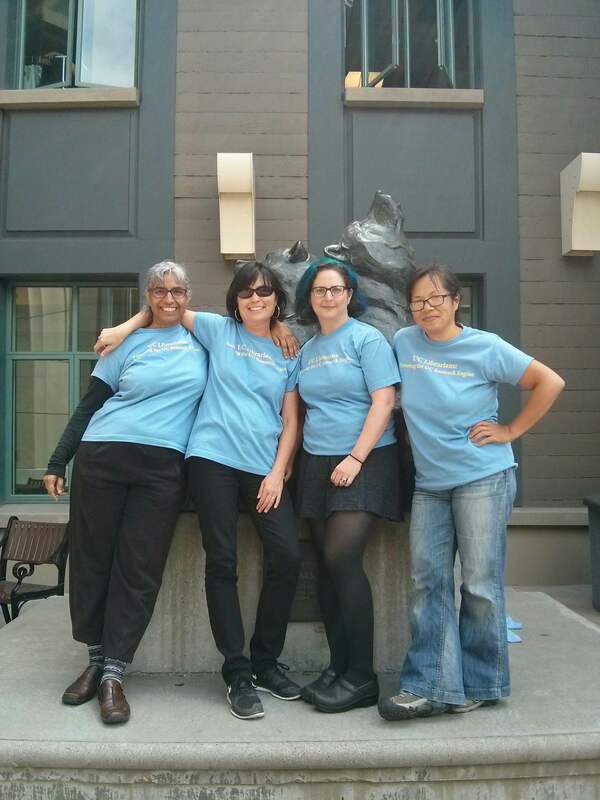 We raised over $500 in just 2.5 hours. 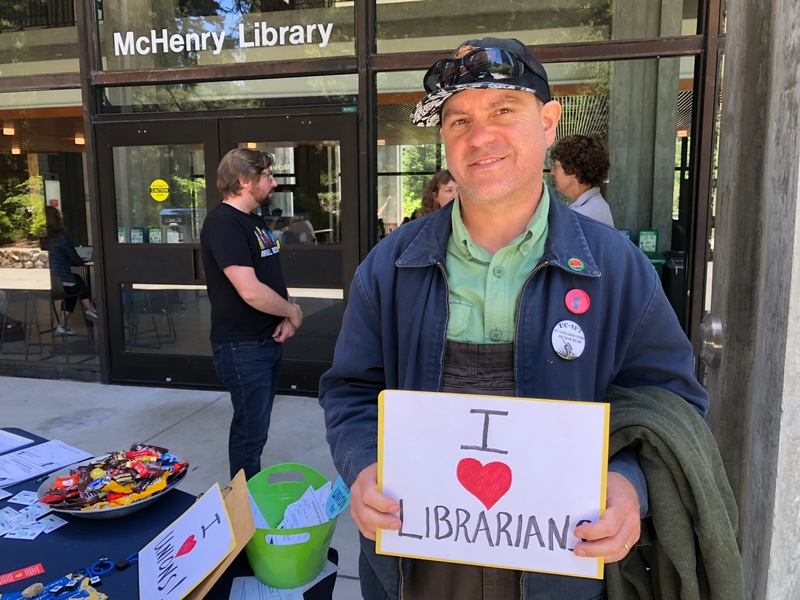 10 of our librarian members split shifts and 15 bakers brought in an array of goods ranging from pad thai cookies to tahini brownies to standard bake sale staples like chocolate chip cookies, brownies, Rice Krispy treats, etc. 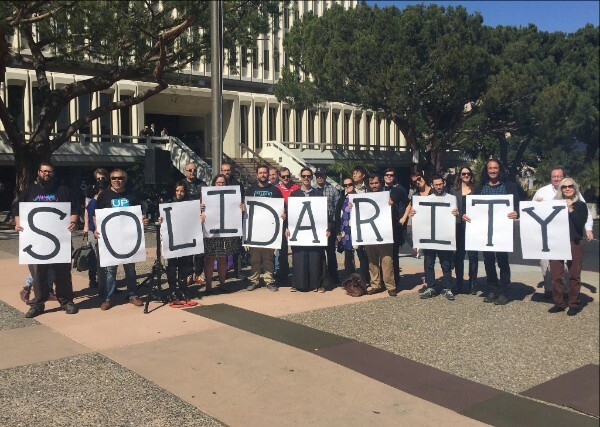 By accepting Venmo as a method of payment, many customers not only paid but sent messages of solidarity. 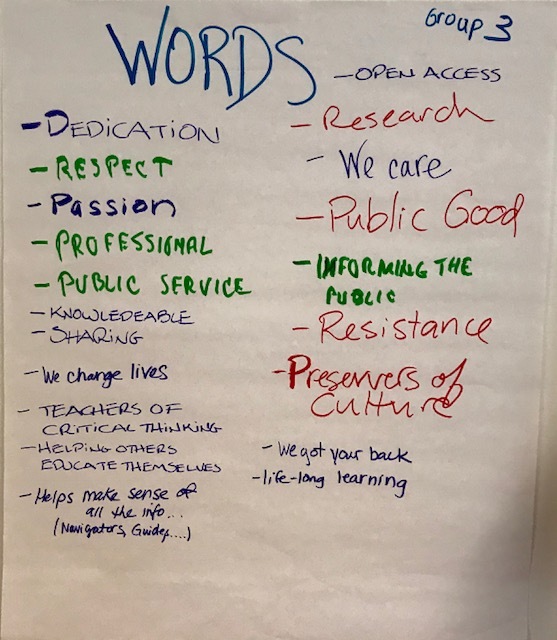 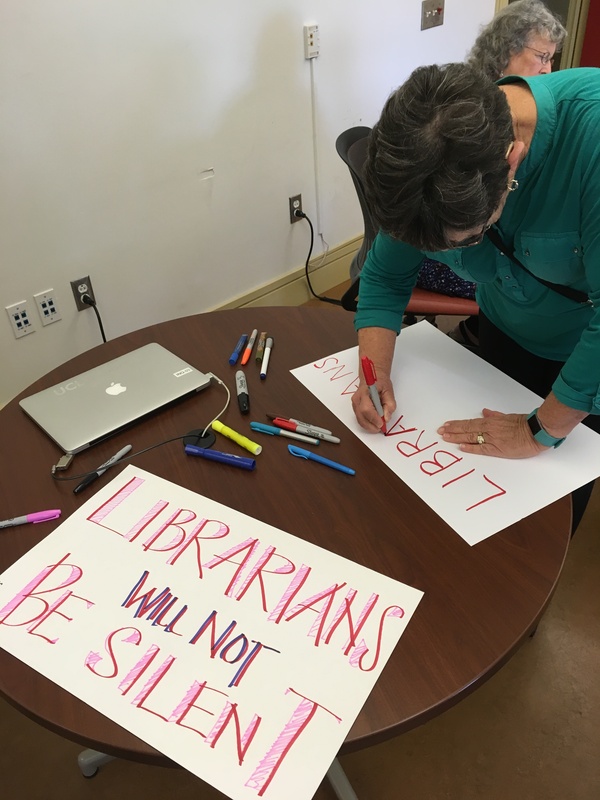 Some of the messages included, “Love ya’ll” “solidarity” “support librarians” “thank you for supporting our research” and “you deserve it!”. 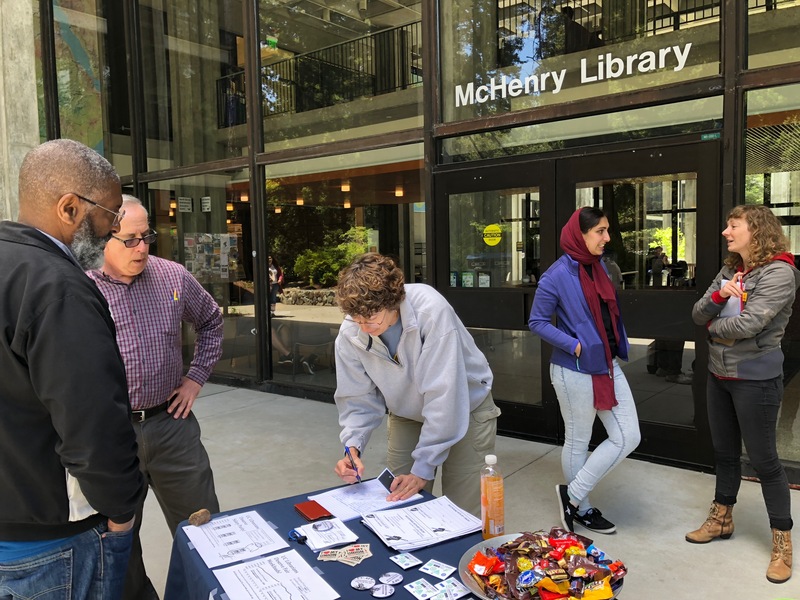 The bake sale also provided a great opportunity to get the word out with current students, prospective students and their families, non-tenure-track lecturers, and library staff. 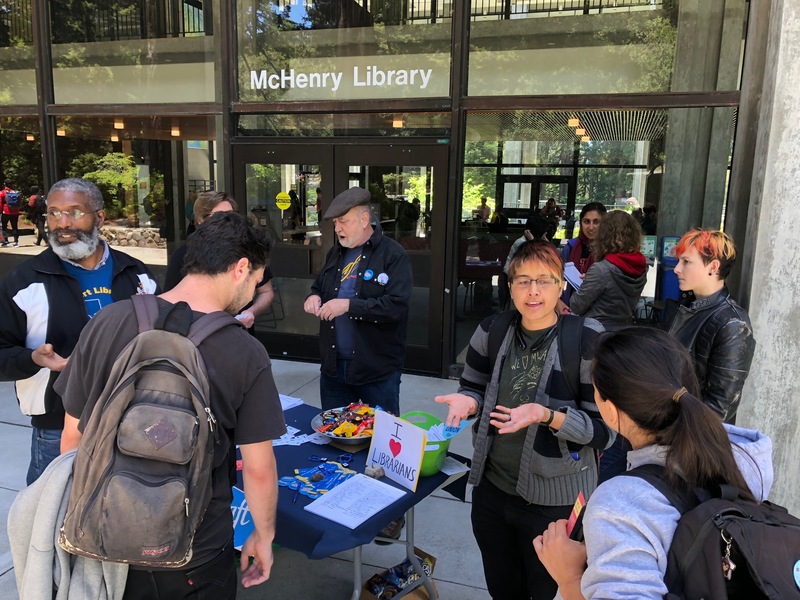 In addition to the baked goods, we gave away information about the UC wage gap, our petition for academic freedom, and buttons. 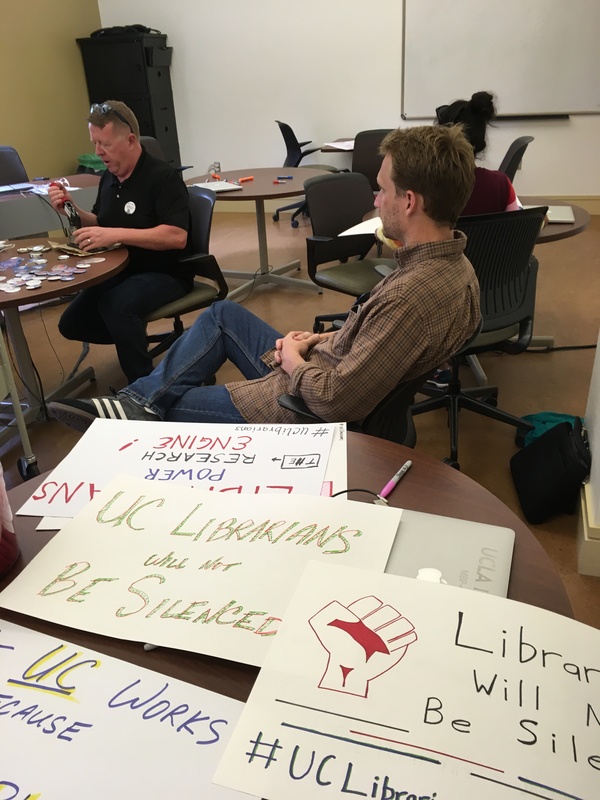 We also had print-outs ready for customers to take away with an update on our contract campaign that included details about the strike fund. 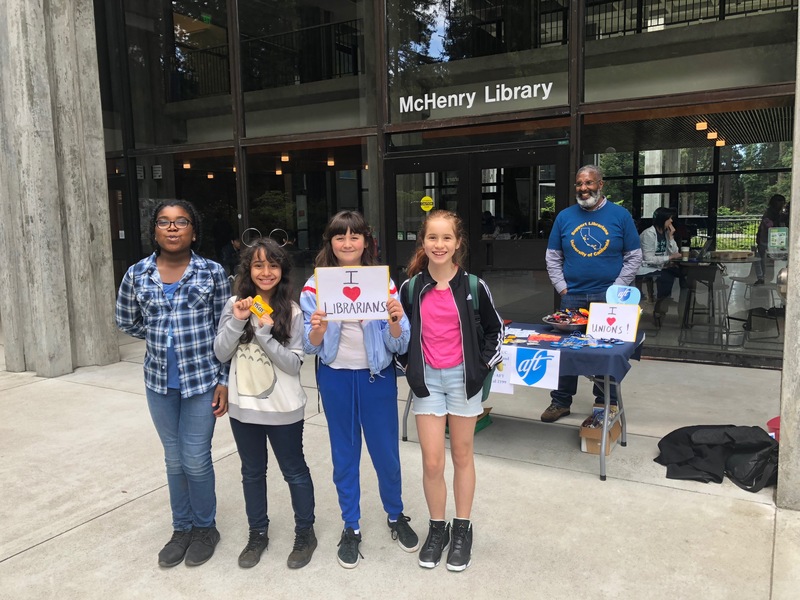 Eleven librarians baked and came out to sell cookies, brownies and snicker doodles to student, faculty and community members. 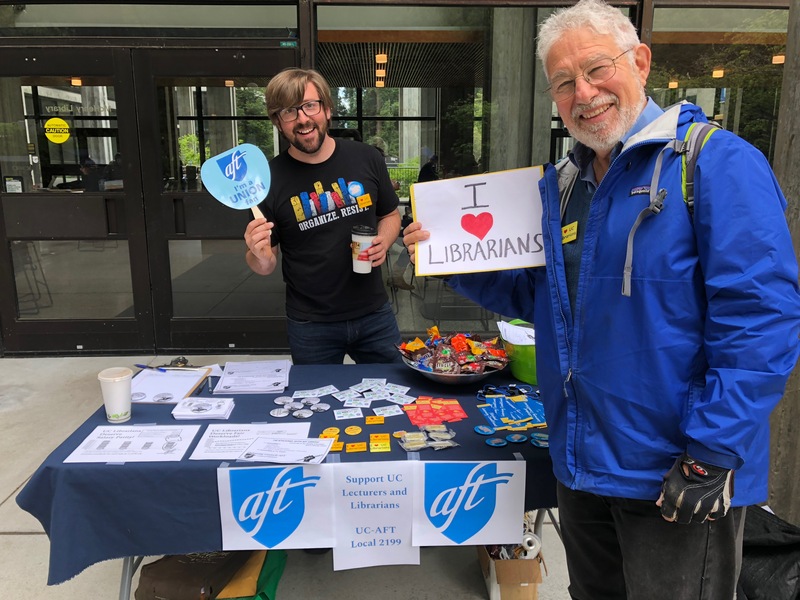 Our first “sale” was to a former Albany, NY AFT teacher visiting his granddaughter at Cal. 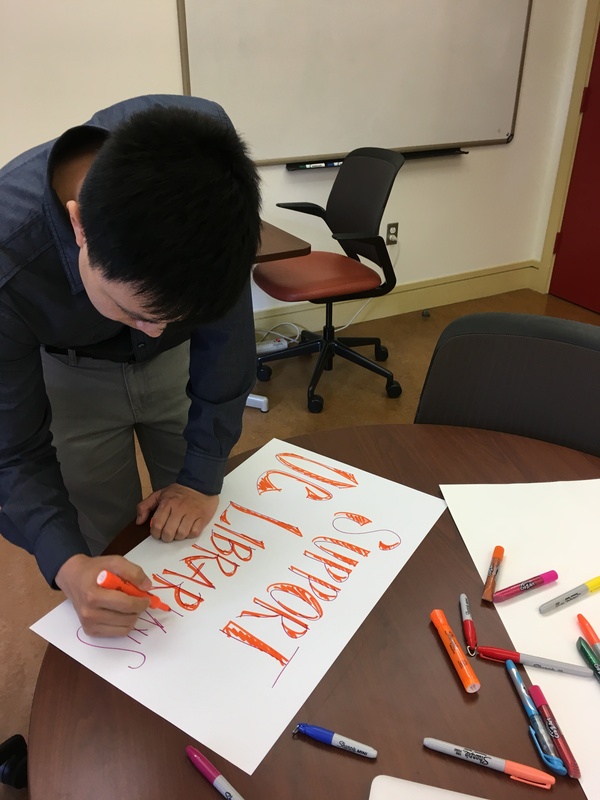 After talking for five minutes while we were setting up, he returned a few minutes later to make a $20 donation. 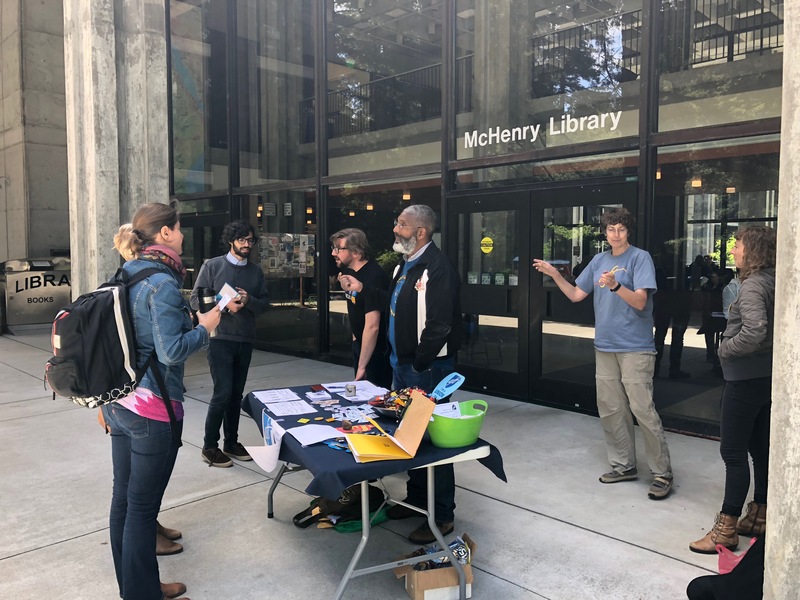 In addition to filling students stomachs, we were able to talk about salary, professional development and academic freedom with many people unfamiliar with our struggle. 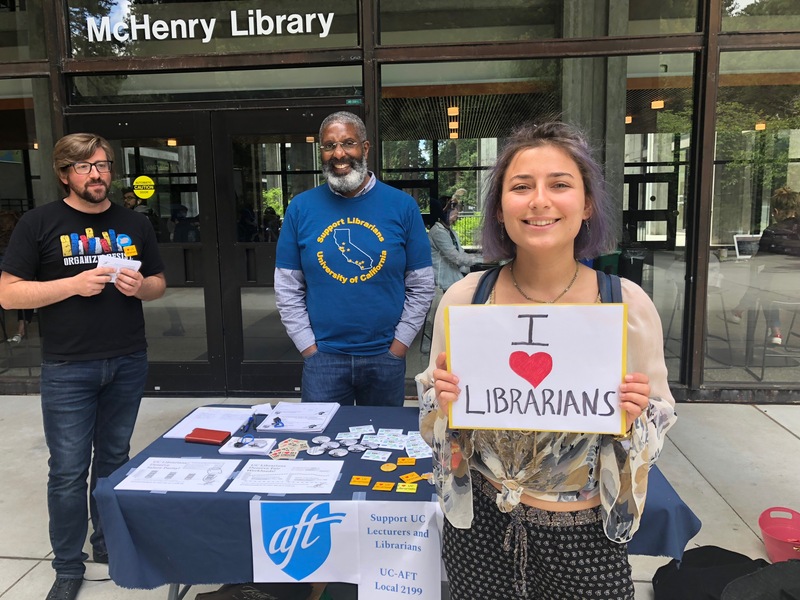 We gave out lots of salary literature, “Librarian AF” buttons and secured a number of signatures on the academic freedom petition. 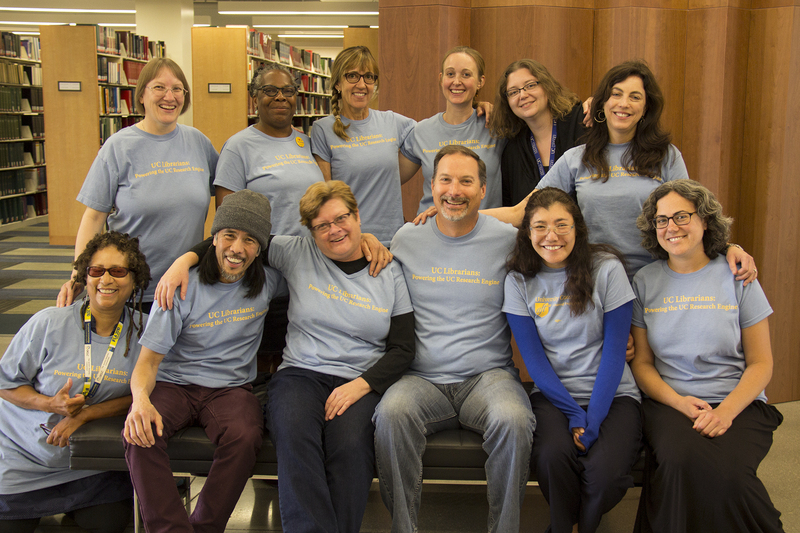 The two hours spend on Sproul also served to reinvigorate us after the long winter break. 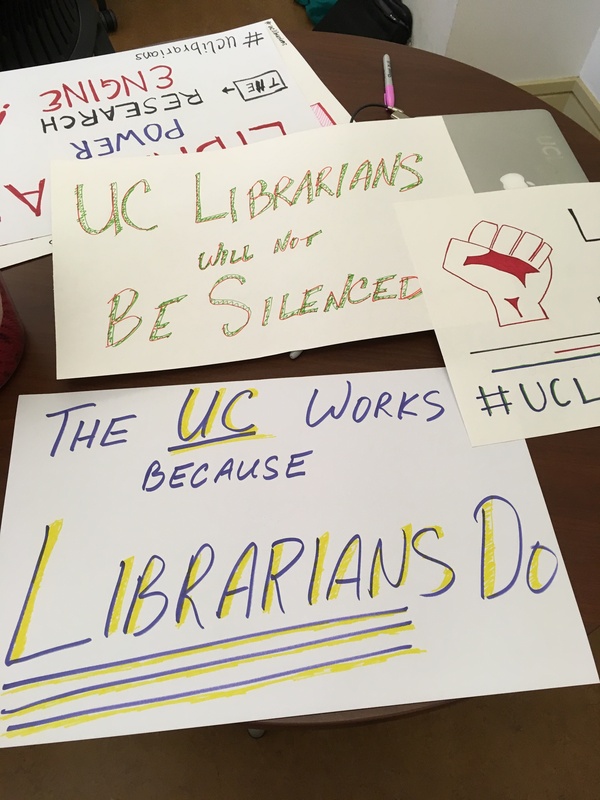 How can I get involved and support UC Librarians? 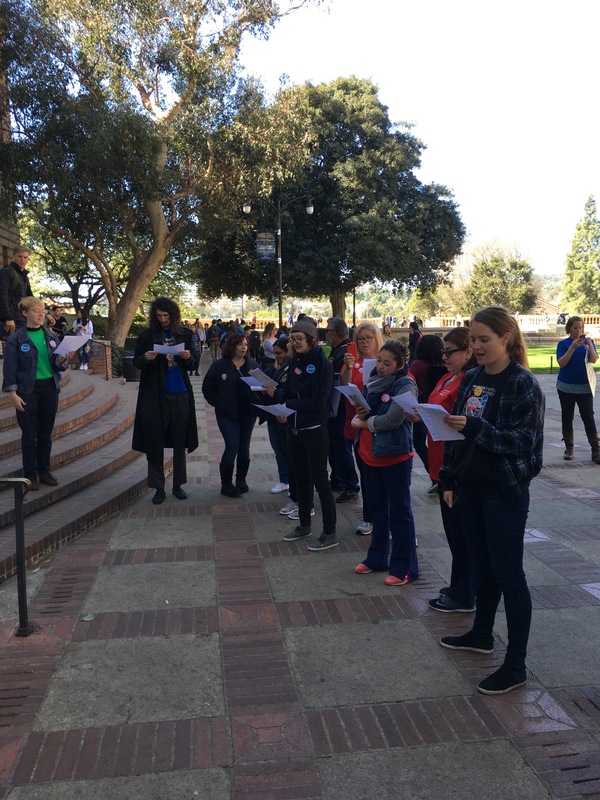 First of all, if you haven’t yet, sign our petitions! 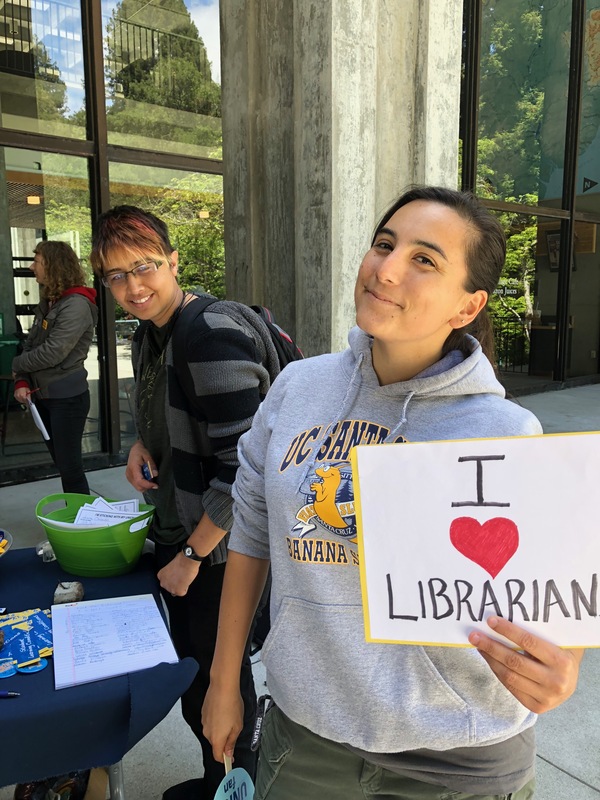 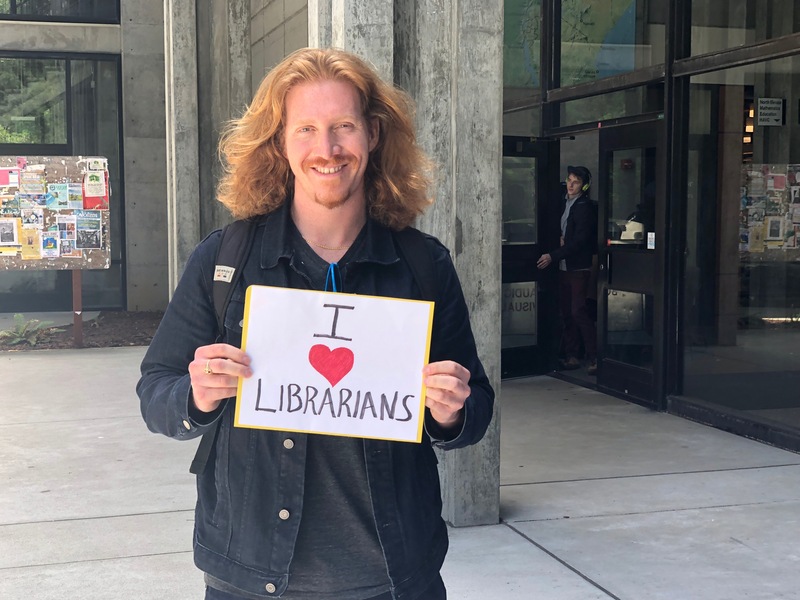 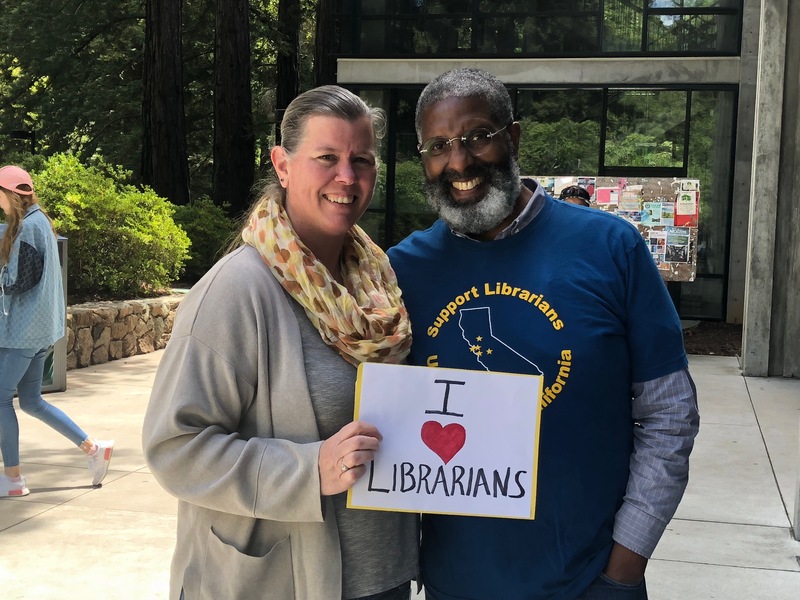 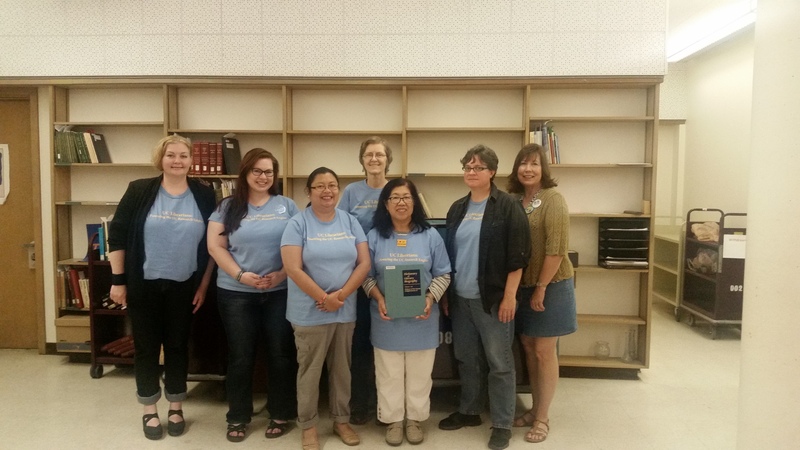 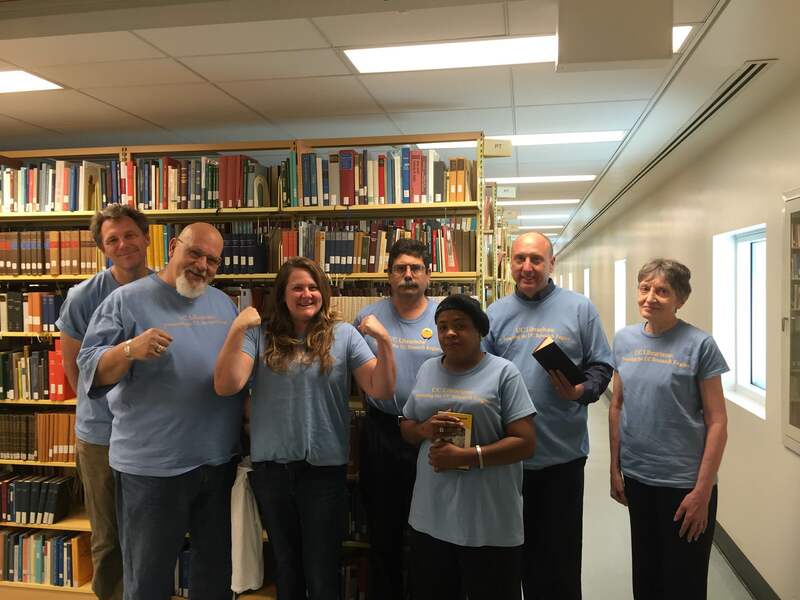 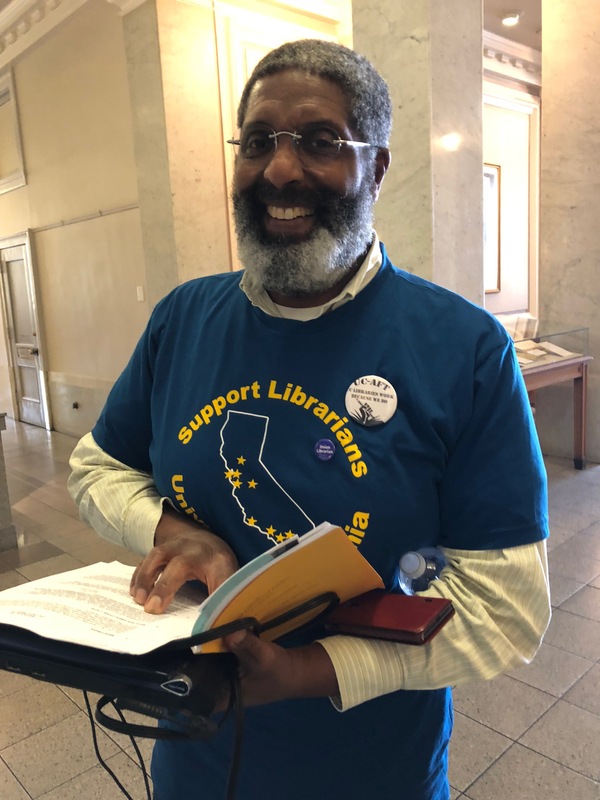 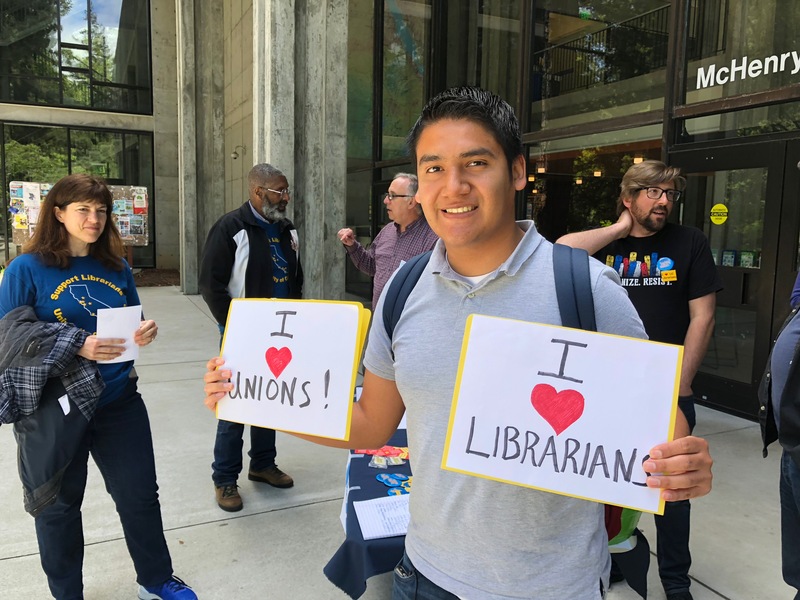 We have one in support of UCLA temporary librarians at: https://tinyurl.com/TemporaryLibrarians and another in support of UC librarians’ academic freedom at: https://tinyurl.com/LibrarianAF. 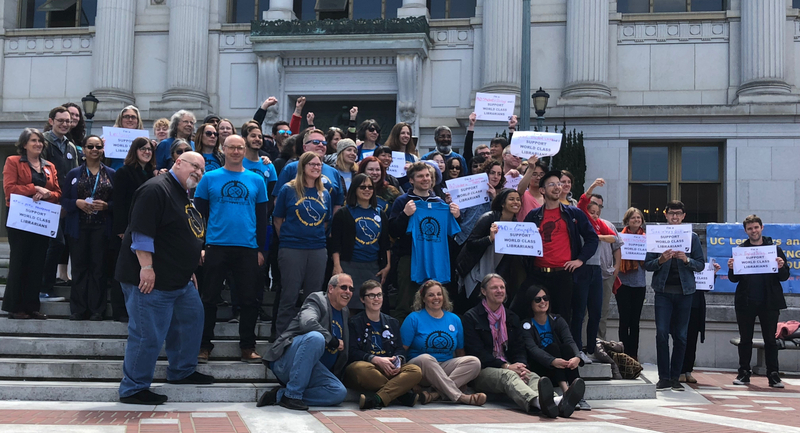 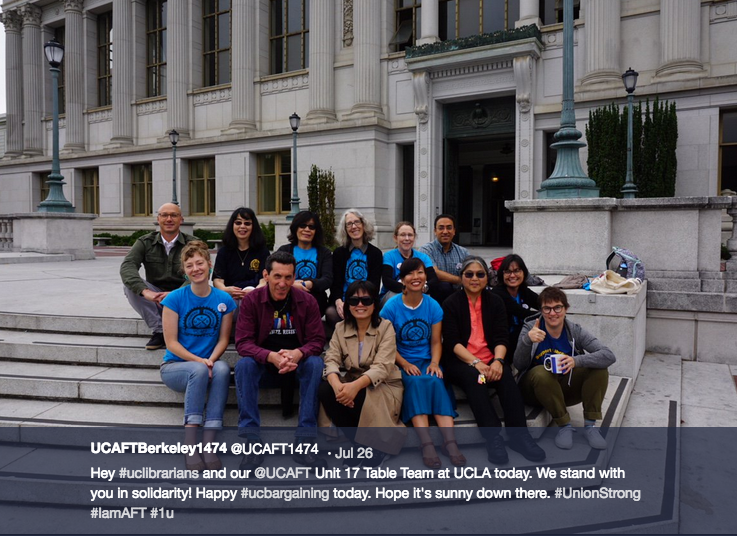 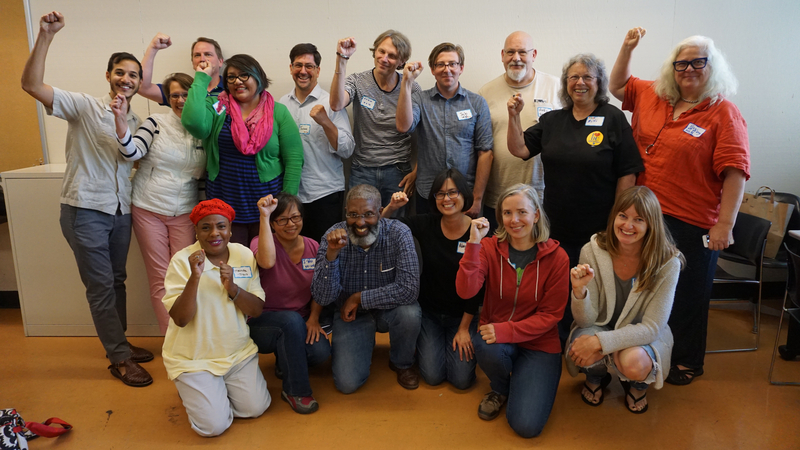 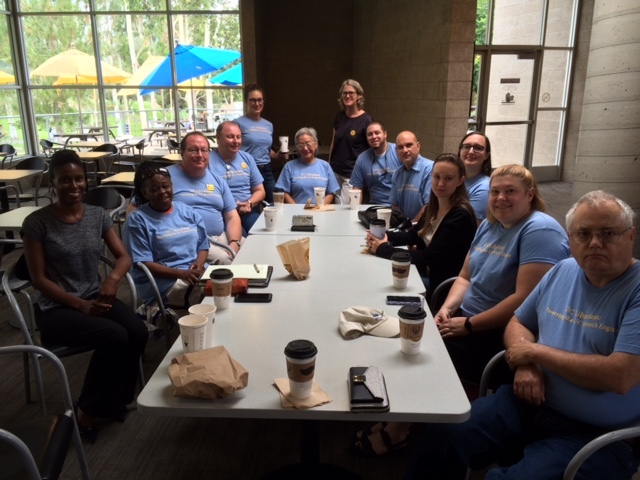 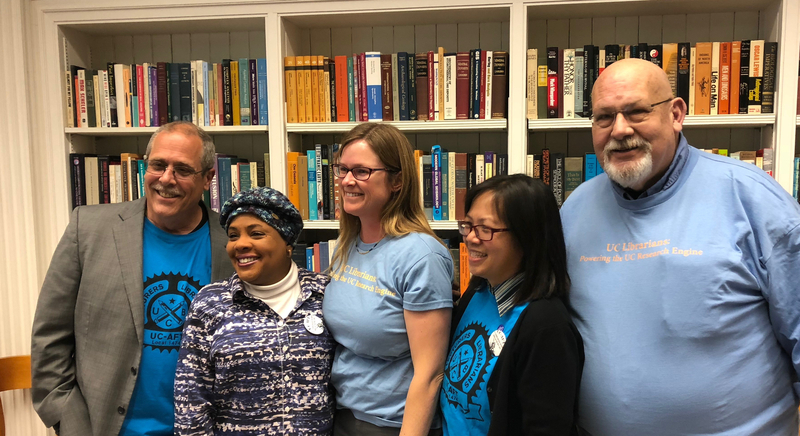 Stay up to date on bargaining by following the UC-AFT Librarians’ blog at https://ucaftlibrarians.org/. 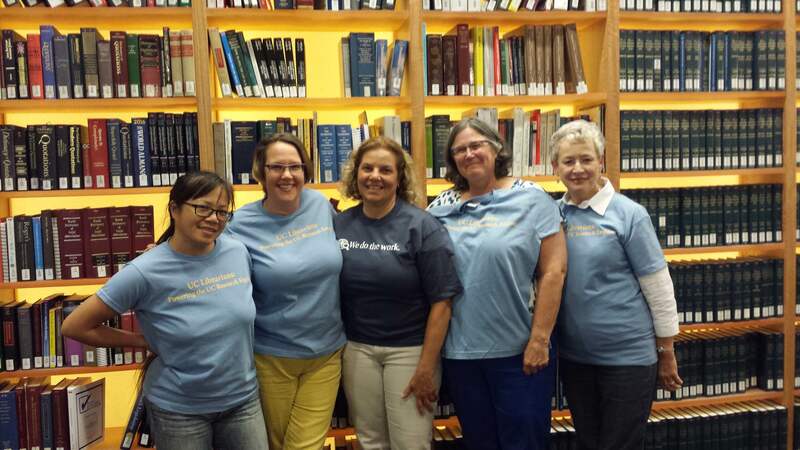 You can find us on Facebook, and on Twitter at @UCAFT_UCLA or @UCLibrarians for the statewide account. 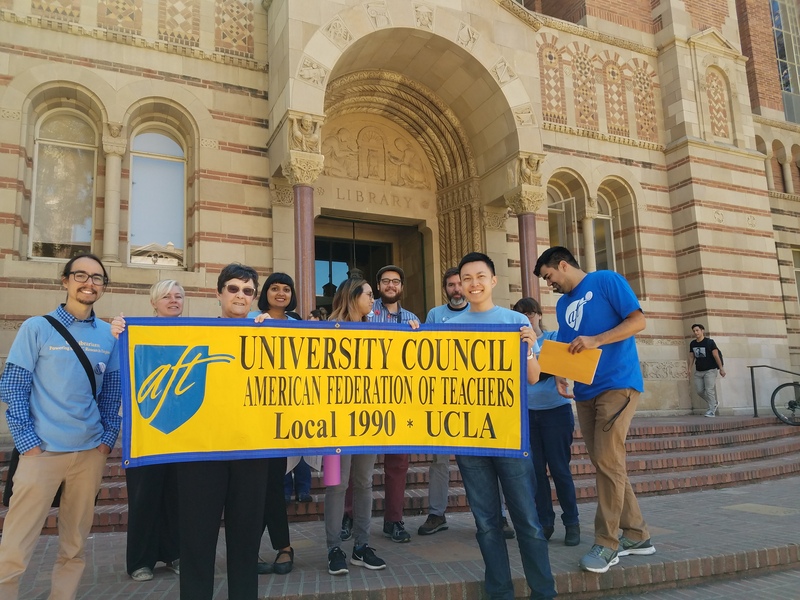 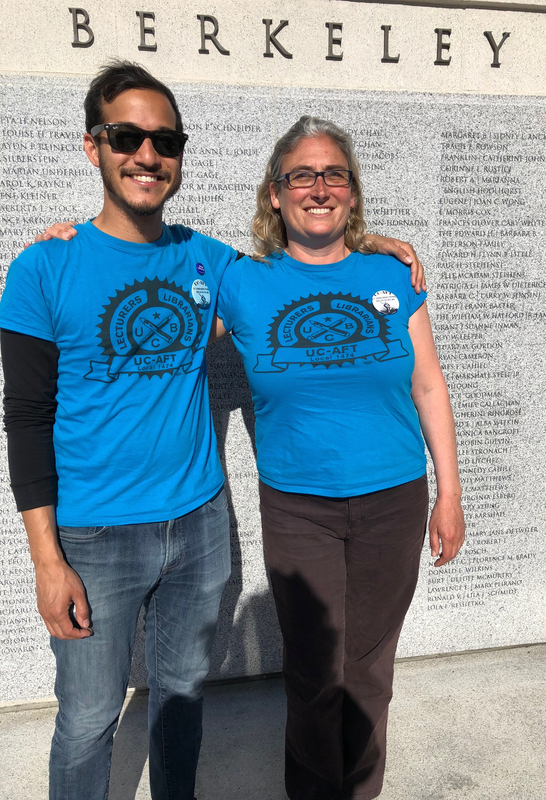 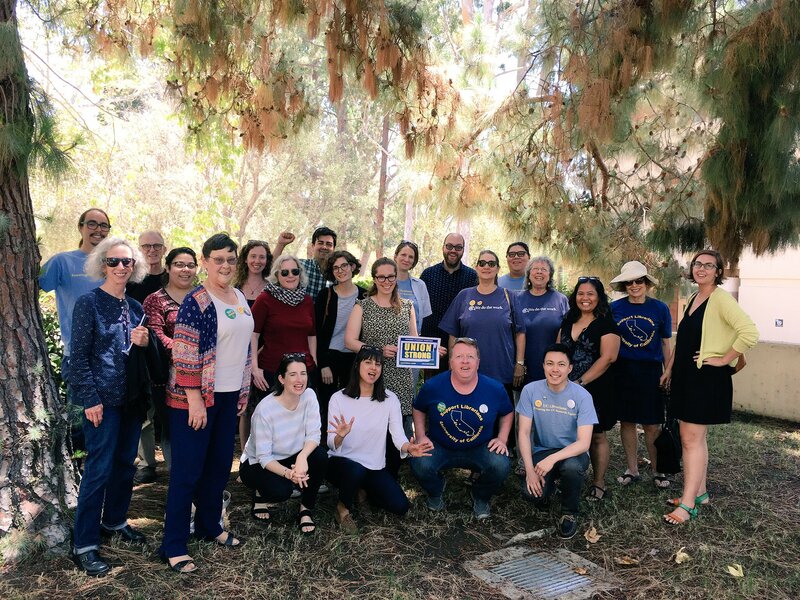 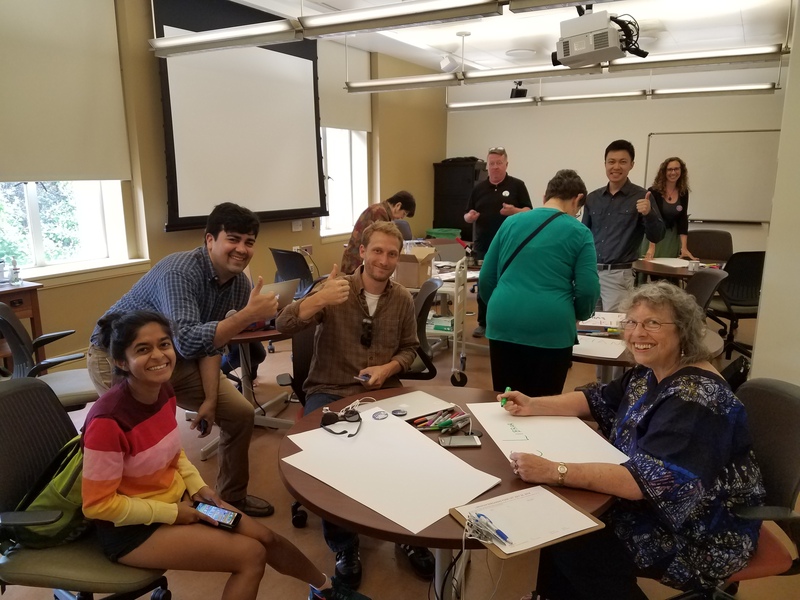 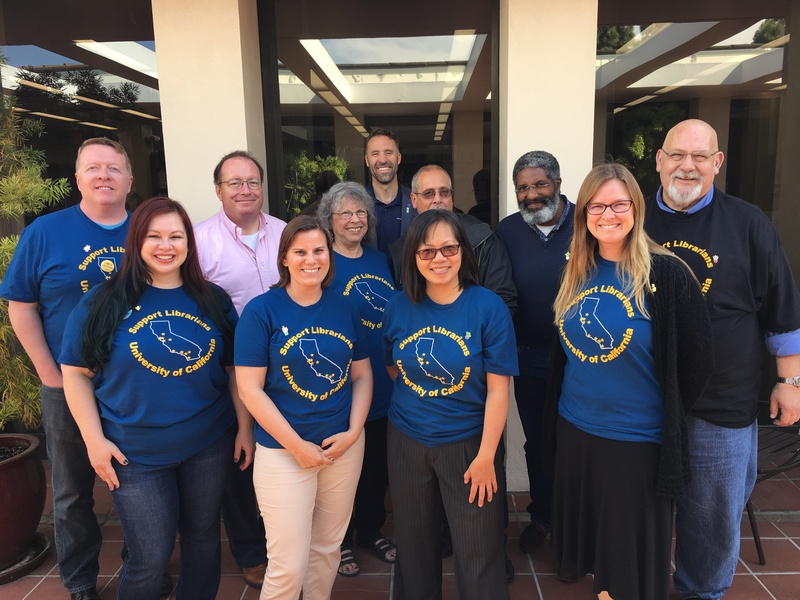 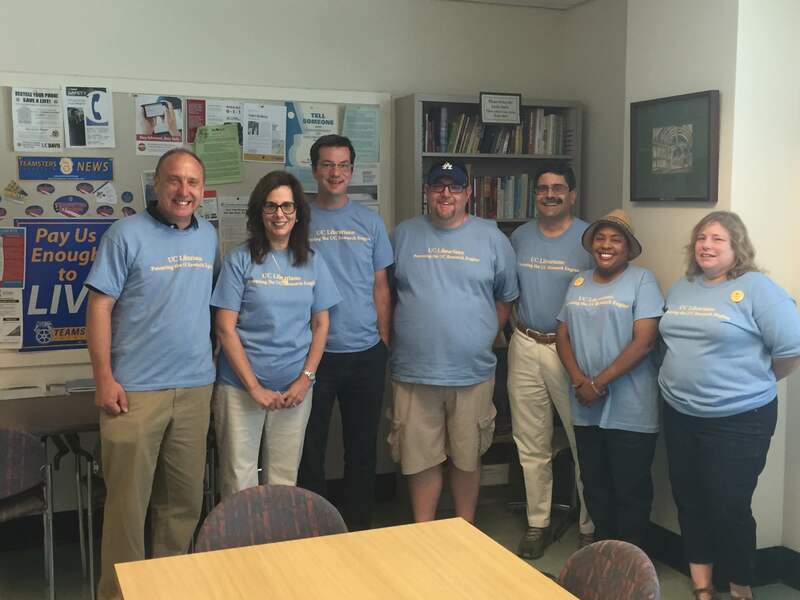 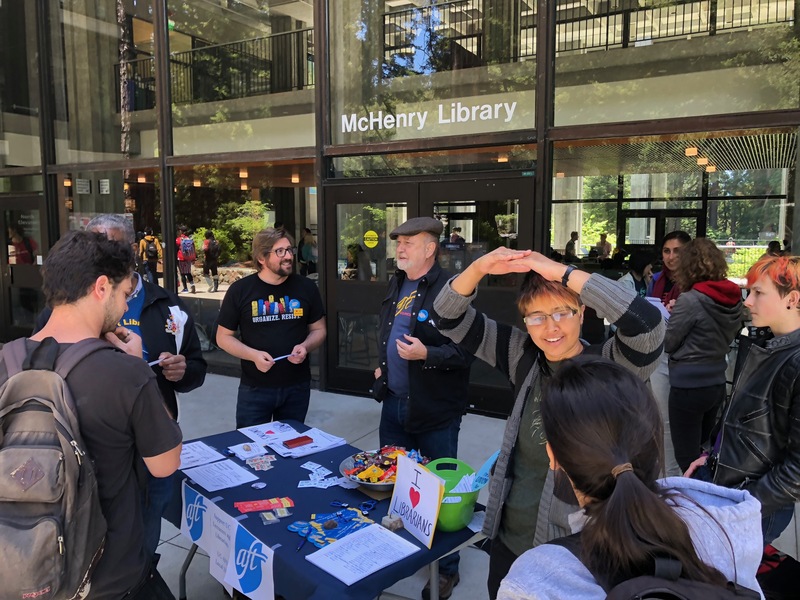 Members can connect with UC-AFT cluster reps at UCLA to get involved in organizing! 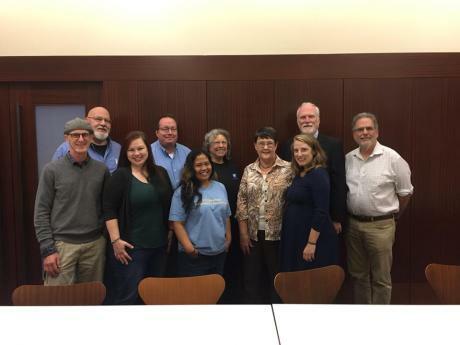 (or if you don’t know who your cluster rep is, email Holly Craig-Wehrle at hcraigwehrle@ucaft.org). 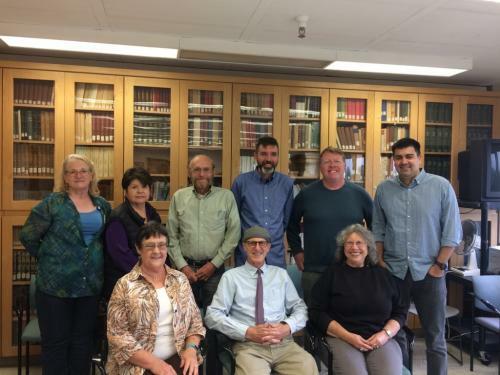 Next Next post: Moving Image Archive News: Are Temporary Appointments a Threat to Archiving?